I took a special tour of the Royal Palace this week as part of charity fundraising event. The Princess Katherine’s Foundation is doing a “Children Helping Children” campaign and asked the school to participate. A delegation of our students donated gifts for the impoverished children of Belgrade. It was an informational and highly interesting tour. I took the photo above of the dome of the church on the palace grounds. 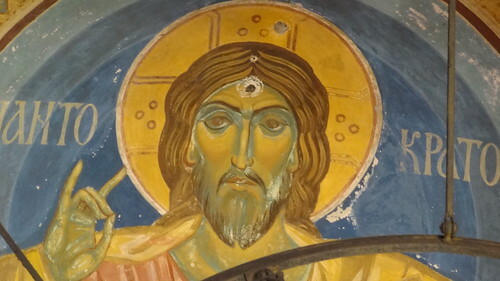 Jesus has a bullet hole in his forehead from the Partisans who took over the palace after World War II. The church was used as a storage room at that time and the Royal Family kept some of the artifacts of the history of the place. 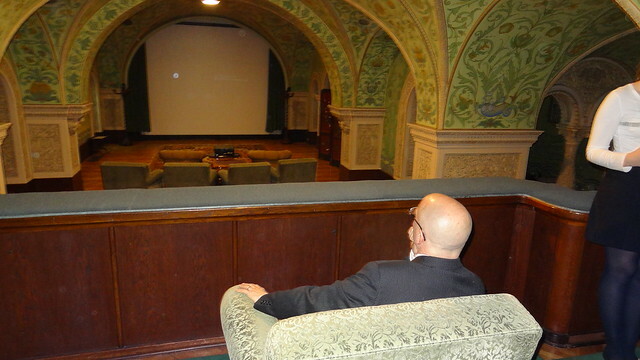 I especially loved the basement private cinema, which Tito used to watch Westerns back in the day. I sat in his favorite chair. The tour guide gave us a lot of information about the art works and the history of the rooms in the palace. 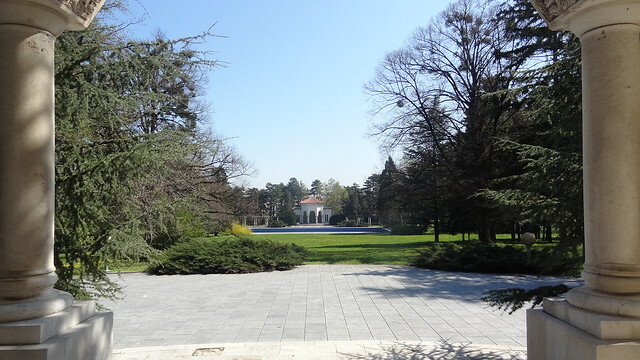 Currently the Serbian government owns everything, but allows the Royal Family to live in an apartment on the grounds. 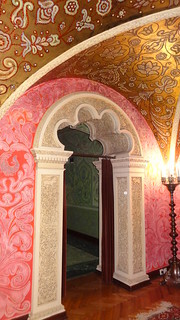 It is a huge piece of land in Dedinje and the Karadjordjevic Family has refurbished much of the palace. It is quite spectacular and a fascinating place. I highly recommend a visit. The rooms below are done in a Russian style because the family gave refuge to Russian architects and artists fleeing the Bolsheviks. They were allowed to design many rooms. There are also spectacular views and every room has a story. I also received an invitation to the State Funeral of King Peter, which will take place next month. I’ll definitely blog on the that event. The Royal Family hold no power or political office in Serbia as it is a parliamentary government. We sadly didn’t have time to tour the White Palace on the grounds, but I will definitely come back for that tour.